SAN FRANCISCO - Sept. 9, 2014 - PRLog -- Upon graduating from Greeley West High School, Graciela Tiscareno-Sato accepted the Air Force ROTC (Reserve Officer Training Corps) scholarship and headed to University of California at Berkeley to pursue her collegiate studies. Today, she is a White House honoree (a “Champion of Change Woman Veteran Leader”) for creating award-winning literature showcasing contributions of innovative Latino Americans. Tiscareño-Sato embarked on a life of global adventure as a military officer and aviator that now brings her back home for the second year in a row to participate in the Americas Latino Eco Festival. 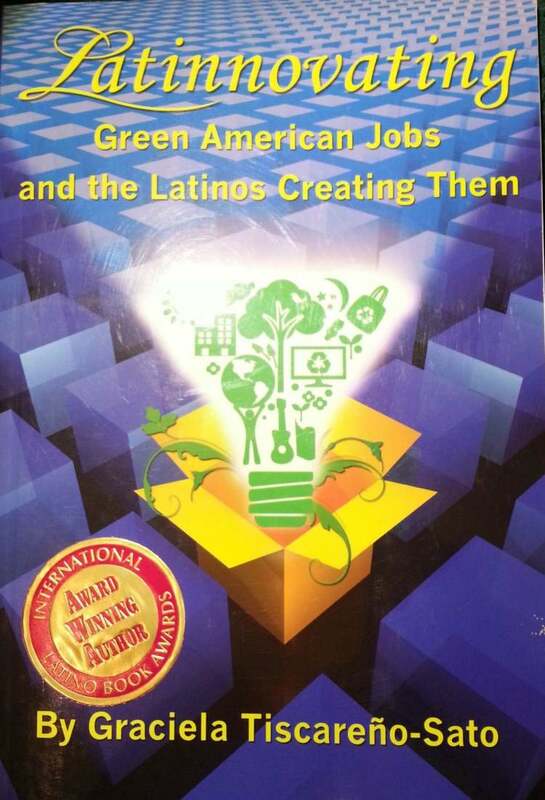 Friday evening, September 12th at the Hotel Boulderado, Tiscareño-Sato’s ground-breaking book Latinnovating: Green American Jobs and the Latinos Creating Them will receive an Americas Latino Book Award for the first book in her Non-Fiction series that profiles innovators and entrepreneurs in the emerging U.S. green economy. Visit http://www.latinnovating.com to learn more. Saturday, September 13th, she will participate in a panel discussion titled "GreenLatinos Forum: Why Environmentalism Matters to Latino Americans and why we're the Solution." Sunday, September 14th, she will lead a panel titled “Latinnovating the Environmental Movement” with several conservation leaders discussing examples of Latinos’ long-time participating in and readiness to lead the movement. Tuesday, September 16th, she will lead a keynote forum at the Latino Chamber Business Expo portion of the festival. Titled “Latinnovating® -- a gathering of Latino leaders in the green economy: environmental entrepreneurs and innovators.” Graciela will be joined by Sandra Artalejo and Elizabeth Perez-Halperin, two Latina entrepreneurs featured in the Latinnovating series. "I wrote this book to showcase our creative culture, rooted in conservation and intelligent resource use,” said the author. “Today's Latino Americans are solving some of our most vexing environmental and social problems - yet those stories are denied to the mainstream American public. Very importantly, the Latinnovators I profile are adding tremendous economic value to the nation. It's time these stories, through literature, in eBook and print formats, gets in front of more Americans so contributions are seen and appreciated." See the complete program at http://americaslatinoecofestival.org/program. Following the festival events, in her role as bilingual K-12 STEM consultant, Tiscareño-Sato will visit Severance Middle School in Windsor to teach an advanced writing workshop and to present her “STEM of Aviation” workshop. Gracefully Global Group LLC [http://www.gracefullyglobal.com] is an independent educational publisher/promoter of positive media images and case studies from the Latino community in book, eBook, DVD and live presentation formats. Our first children’s book, Good Night Captain Mama/ Buenas Noches Capitán Mamá [ISBN: 978-0-9834760-3-0], received an award in the “Best Educational Children’s Book – Bilingual” category, International Latino Books Awards at the 2014 American Library Association convention. We create literature that showcases the positive contributions of Latinos in the USA.